Introducing "Pitchmap" and "Unveil" by Zynaptiq! 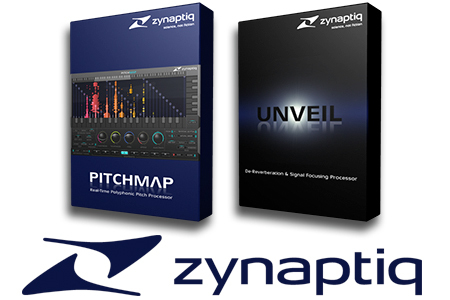 RSPE is proud to introduce two plugins from Zynaptiq that will revolutionize the way you make music! PITCHMAP ($369) allows you to change the melodies and harmonies of any recording by simply playing your own on a MIDI keyboard, or by creating a pitch map using Zynaptiq's streamlined GUI. UNVEIL ($369) allows fixing previously unusable location audio and dialog, tightening up live music recordings, removing reverb and "mud" from musical signals, as well as creative sound design.